New Telit LE70-868 star-topology short-range wireless module to address rising demand from multi-kilometer-range wired-to-wireless migration market. 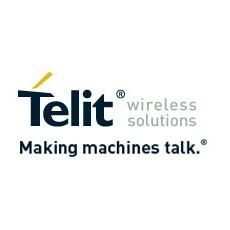 Telit Wireless Solutions, a leading global vendor of high-quality machine-to-machine (M2M) modules and value-added services, today announced the market introduction of the LE70-868 point-to-point, star-topology, short-range wireless module for the European multi-kilometer range wired-to-wireless network migration market in application areas such as solar/wind farms and agricultural automation. 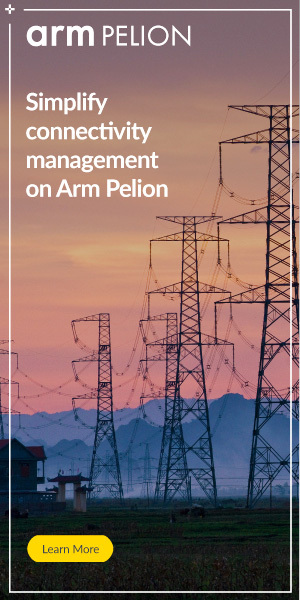 The new module operates on the 868MHz European ISM license-free frequency allowing manufacturers to quickly integrate wireless communication, control, and sensor nodes replacing wire-networked models and fully meeting regulatory compliance on the short-range radio link. The LE70-868 excels in all dimensions that are critical for original equipment manufacturers. 139dB radio link budget makes integration to the host hardware simple, eliminating the need for complex and costly NRE into radio and antenna engineering and design, also lowering BOM costs. High 500mW configurable radio output power combined with -112dBbm sensitivity, significantly improve the customer device’s operating range – up to 10Km – and reliability. And an ultra-low 1μA standby current allows successful integration of the module into battery powered electronic designs for applications such as soil moisture monitors, hall-effect closure detectors, and PIR surveillance devices, which require battery replacement cycles in multiples of years. The compact module is housed in a 26x15mm package and is capable of sustaining data rates up to 57.7Kbps providing customers a wide array of application possibilities. AES encryption allows the LE70-868 to be applied in products transmitting sensitive data as well. 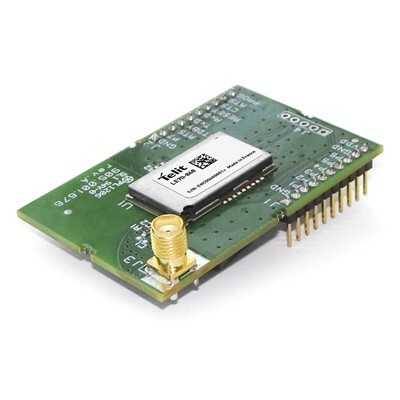 As a member of the Telit Short Range module family, the LE70-868 is fully form-factor compatible with its ZigBee and Low-Power Mesh counterparts, as well as air-interface inter-connectable to the lower-radio-power LE50 series point-to-point star-topology short-range wireless products. The high-performing LE70-868 delivered with Telit’s comprehensive support and customization services rooted on extensive knowledge of short range RF design and the various vertical segments make the make-versus-buy decision an easy one for the electronic equipment manufacturer. The LE70-868 is made available in convenient LGA and DIP mounting solutions with a range of development tools and associated products such as cellular gateways.